RTÉ News Now provides about 4 main types of schedule. A simulcasts of the RTÉ ONE and Radio 1 news and current affairs output. A simulcast of EuroNews after 2am in the morning. Repeats of RTÉ News and Current Affairs programming such as Six One. They also run live events such as Oireachtas proceedings, EU Parliament sessions and national and international press events etc. RTÉ News Now took the decision as part of their international live event coverage to screen the first all party debate from the upcoming UK General election. According to RTÉ News Now they took the decision "to show the first part of the debate, and then switch to the Nine O’Clock News. Although not an ideal situation it is felt that this was better than not showing the debate at all." and that live coverage would continue on the RTÉ Website. We assume that viewers were made aware that coverage would continue on the RTÉ Player. This decision must come as a shock to RTÉ Viewers. Clearly RTÉ News Now took the decision to simulcast their news programming over providing viewers with the choice of content between two separate channels. For viewers of the debate on Saorview it left them with the only option but to move to the RTÉ Player online, while viewers on UPC had to move to other news services such as RTÉ News Now competitors Sky News or BBC News. 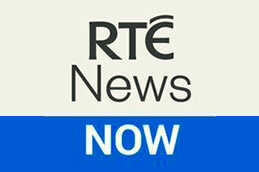 RTÉ News Now, RTE ONE +1 and RTÉjr are currently not available on Sky. The RTÉ News Now team go on to state "There was also extensive comment and analysis of the debate on later bulletins and the following day." They fail to mention that RTÉ News Now could have if it so wish aired their simulcast of RTÉ ONE's News and Current Affairs after the live debate and that viewers watching on either UPC or Saorview had the option of turning to RTÉ ONE +1 and to their online services to get the latest news from RTÉ after the debate. This is another case of RTÉ failing to apologise for a bad decision and sticking to their guns.